Leather belts are one accessory that never feels dated. Sure, your outfit might have been stunning without one, but whether it's thin, doubled up, patent, or braided, the thoughtful detail completes nearly any ensemble. Furthermore, it can also define your shape, break up a head-to-toe pattern or color, and ensure a proper fit for your clothing, sans a trip to the tailor. Thankfully the timeless, functional trend doesn't cost too much either. Rather, the best affordable leather belts can be found in spades. No matter if you use them to cinch your outerwear, create an hourglass silhouette, or merely accompany your favorite pair of high-waisted jeans, peruse our selection of leather belts. With every style ringing in under $50, you might even consider stocking up on a few. 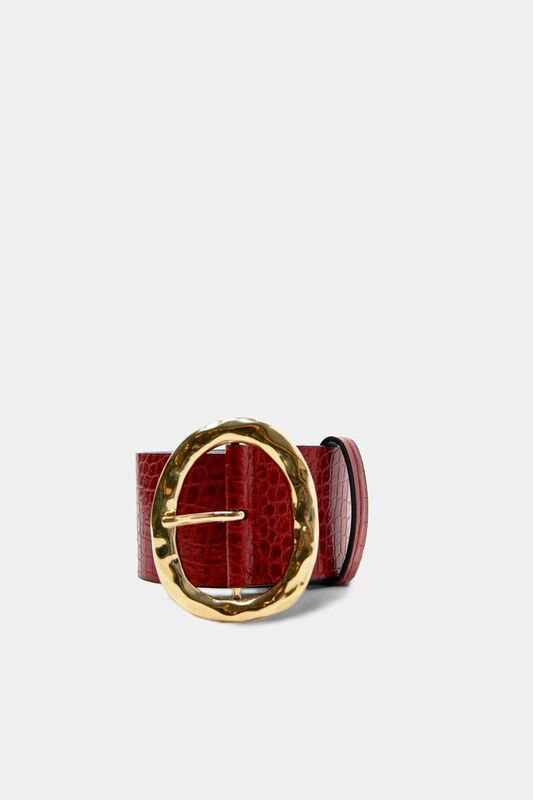 Add color to your neutral ensembles with this red leather belt. When one belt isn't enough, make it double. The definition of a classic leather belt. If you're still into matching, pair this belt with your white boots. Even leather belts look great with the animal-print trend. Everybody needs a good black belt in their closet. If you have a leather belt in all the neutrals, branch out and opt for a fun, green style. Braided belts are ideal for when you plan to feast in comfort, as the hook can be secured as tight or as loose as you like. Don't forget about the details and consider a belt with an intricate metallic buckle. Cross stitching is a nice twist to this classic leather belt. We love a minimal, oval buckle. A belt that's entirely perforated is a winner in our book. Belt it up and you're ready to go!